Today I'm feeling very positive and inspired. 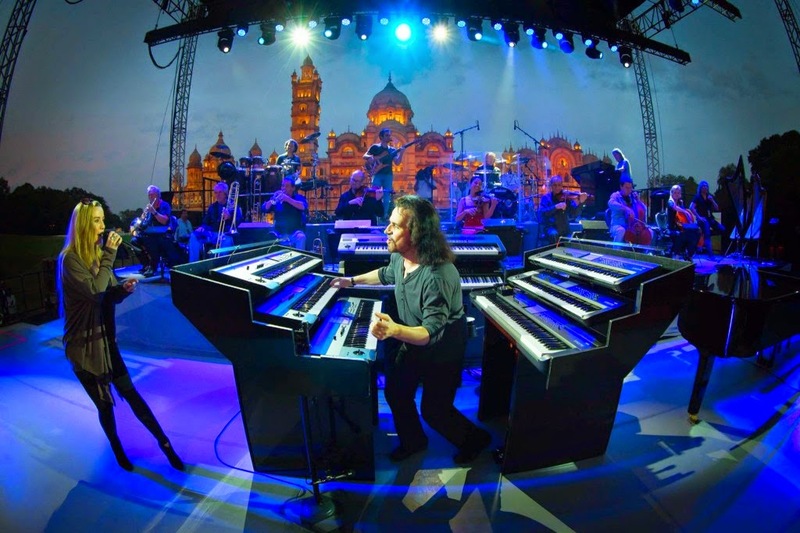 So, I thought it's the right time (and about time) that I blog about my experience being at the Yanni Live in Concert at the VadFest in Vadodara. It was a surreal feeling walking into the concert grounds on 23rd January. This was really a dream come true for me. Watching the maestro perform in person, his skillful fingers gliding past the keys of his shiny black Yamaha piano, was for most part a distant dream for me. It was at boarding school in 1997 when I first discovered the musical legend. His tracks were fittingly used for most of our school events. As the curtains of our auditorium drew open every Friday, 'Santorini' played as the opening track to the news reading event during the morning assembly. 'Swept Away' was a befitting track to the most anticipated annual fashion show where girls draped in lovely saris walked across the stage with their beautiful flowing pallus. I was hooked onto the instrumental playlist! But it was only when my sister bought the Yanni Live at the Acropolis audio cassette that I found who the man behind the music was. The album cover with his long silky hair and stark black mustache became a familiar sighting around the room. Soon, I began collecting every album he released. For years at nights during school, I would sleep to his music. Side A and B of the cassette both continued to play on the tape recorder till wee hours of the morning. 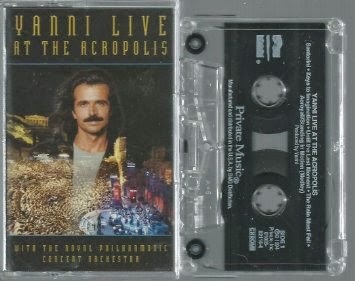 I never tired of listening to Yanni. I not only slept to them, but studied to them during my board exams - the music has always had an incredible calming effect on me. 'Whispers in the Dark' became and still is my all-time favourite. Tape recorders became Walkmans; cassettes became CDs which then became .mp3's on my laptop. Whatever the manifestation, the music has always stayed. One of my first friend's in college was a Yanni fan too. And it was she who three years later burned me a CD of his concert Tribute, Yanni Live at the Taj Mahal. Watching it brought me closer to his music! It was one thing listening to the music, and completely another watching him perform on video. All I wondered was if I would ever get a chance to watch him live; a thought I always quickly brushed off. Last November though, I came across a tweet (thank God for Twitter) by Yanni where he mentioned he was coming to Vadodara to perform at VadFest. THIS was my chance. Finally! The ticket costed a steep was a steep Rs. 5k! Would I have to go alone to Vadodara? Where would I stay? Would I get leave from work? Should I really go? Things eventually fell into place and before I knew it, I was sitting in the passenger seat of the car making my way by road from Pune to Vadodara, almost a 500 km journey. From being stuck in still traffic for three straight hours en route, to going accommodation-and venue-hunting, our road trip which commenced at 7AM finally ended at 6PM and we headed to the concert venue at 7PM. 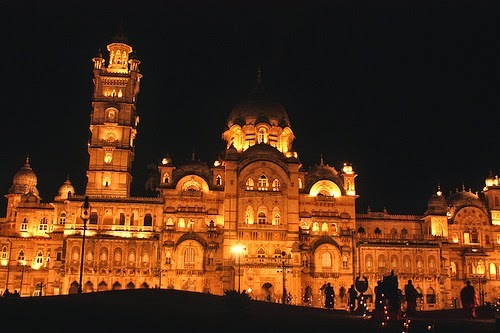 I can't even describe the first glimpse we were got as we approached the venue - it was the magnificent Lakshmi Vilas Palace, glowing in amber lighting up the dark night, a visual treat to the eyes. Built in 1890, this classical monument offered itself as a majestic canvas to the maestro's music! The air was thick with anticipation and we got seated, our section far, far behind. At 8PM, the concert promptly began - the stage dark, blue light beams dancing to heavy beats of the drums and guitar accompanied by an overwhelming round of applause and cheer! Everyone was waiting for the sight of Yanni. And then, 'Santorini' was played. 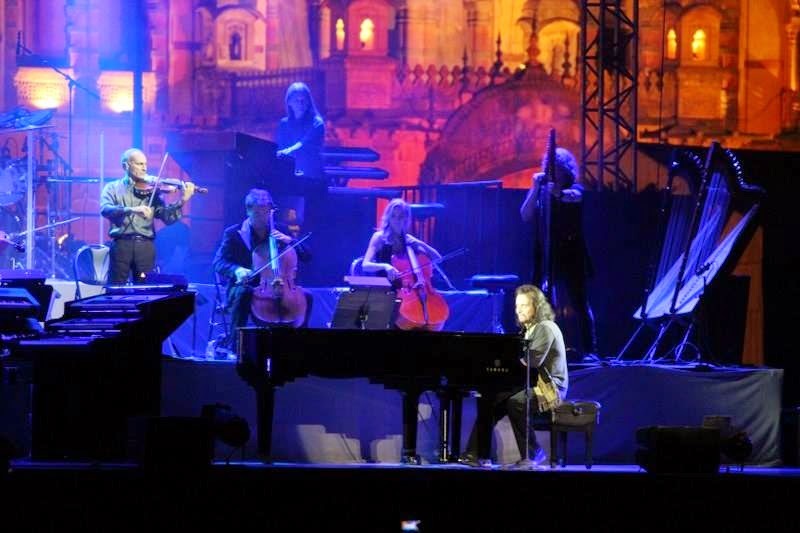 The stage lit up, and there, small as a dot from where I was sitting, I saw Yanni for the very first time. A goosebumps-inducing moment. Everyone's experience is slightly different, but we all end up in the same place, enjoying the concert and wishing for more!